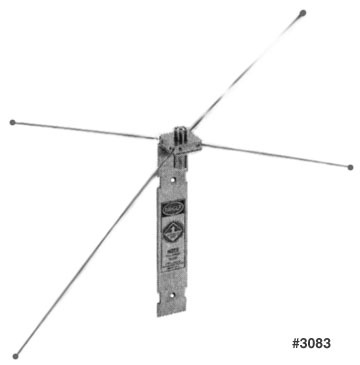 The Larsen BSAKIT converts your PO or NMO mobile antenna into a omni-direction base station ground plane antenna. It is for Larsen antennas operating in the range of 144 to 512 MHz. Four radials come out from the base. The feed connection is an SO-239 (UHF female). The mount comes with two hose-type adjustable clamps for connecting to a variety of masts. It is wind rated to 100 MPH. Coaxial cable is not included.